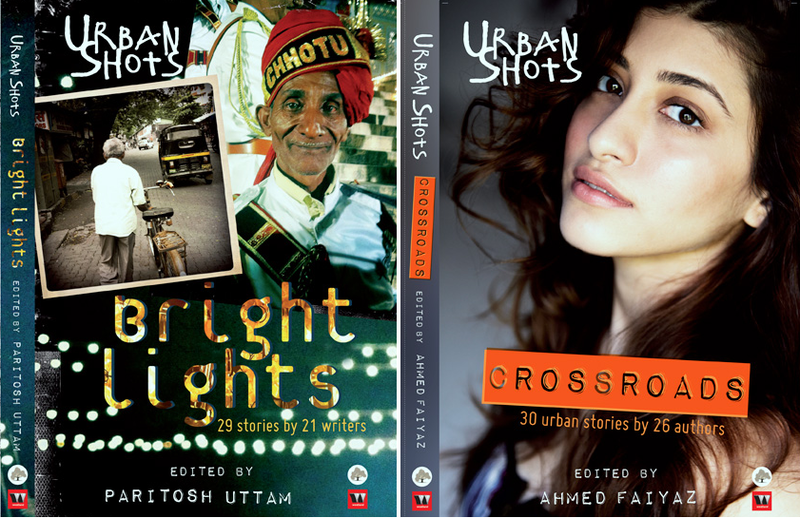 I was recently invited to the book launch of two of the most awaited anthologies – Urban Shots Crossroads and Urban Shots Brightlights. I walked in to the store, towards the book launch area, recognizing a few familiar faces, and smiling at the new ones. I could sense the excitement. It reminded me of the launch of the first Urban Shots anthology by Grey Oaks and the launch of Down the Road that followed about a few months thereafter. The evening began with the screening of a short film, based on a short story written by Paritosh Uttam– Between Friends. After the screening, the contributors of Urban Shots Brightlights took their seat to address the audience. The panel saw (R-L) Jehangir Kerawala, Dr. Roshan Radhakrishnan, Paritosh Uttam and Ahmed Faiyaz, in conversation with Lipi Mehta. Sharing a few anecdotes and their experience of contributing to the anthology, the writers briefed the audience about the stories they have penned. The second part of the session saw the launch of Urban Shots Crossroads. On the panel were popular bloggers and contributing writers –(L-R) Rohini Kejriwal, Pranav Mukul, Malcolm Carvalho, Anita Satyajit, Rohan Swamy and Avani Rajesh. They too shared their thoughts on their stories and the experience of being associated with the Urban Shots series. The stories in both the books are quite racy, compelling and heart rending. Certainly worth reading/reviewing.